This fall, WSU Extension and Greenwood Resources teamed up to provide a field tour at the Jefferson Demonstration Site to incoming OSU SMILE students and other visitors interested in AHB. For some people, Extension plays a very evident role in their lives, like 4-H youths, Master Gardeners, and farmers who work directly with Extension agents. However, many other people don’t know what Extension does, what it can offer them, and/or perhaps don’t even know it exists! Even within AHB, not everyone understood Extension at the beginning. “It was clear to me what the feedstock and conversion teams would do and the sustainability group as well. It was novel and unclear initially about what the Extension and education portions were going to be…I was very eager to see how those sections would play with all the work that was being done,” said Cory-Ann Wind, OR DEQ and AHB Advisory Board. “When I first started writing the proposal I had limited experience with Extension. But when Kevin Zobrist of WSU Extension got involved, I immediately saw the value Extension would bring. That impression has continued to grow over the life of the project,” said Rick Gustafson, AHB Principal Investigator and UW professor. 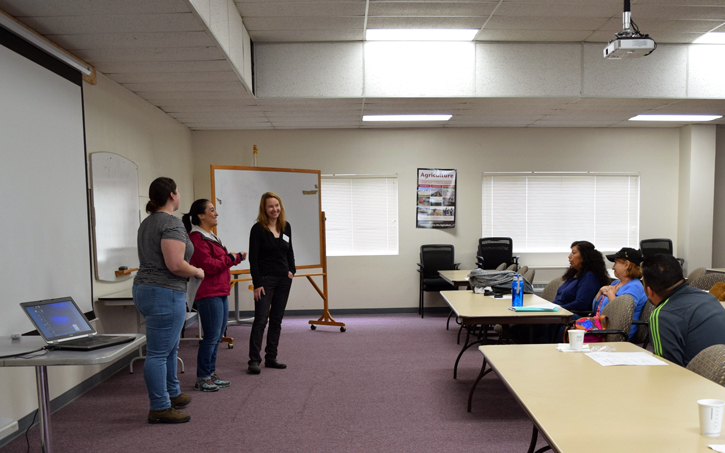 WSU Extension employees Yolimar Rivera Vázquez, Tatiana Giraldo, and Patricia Townsend (left to right) spoke to Latino Energy Ambassadors, who received training to be energy literacy outreach volunteers this summer. There is now a project-wide appreciation for Extension’s efforts to inform communities, landowners, policy makers, and others about how AHB is building the foundation for a new bioeconomy. 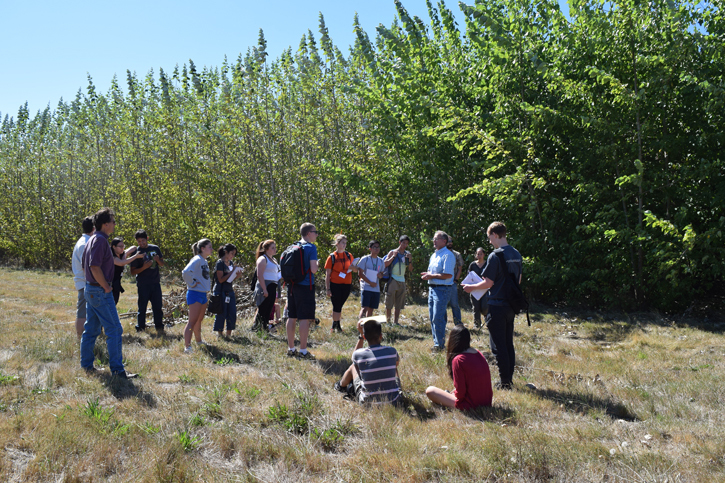 The AHB Extension team has arranged over 20 field tours, conducted multiple stakeholder surveys, reached hundreds of students and community members, and hosted national conferences (check out our WSU Impact Report). The AHB Extension Team also uncovered and is nurturing a new area for partnership – combining the ecosystem services of poplar for wastewater treatment and biofuel feedstock. Within AHB itself, Extension has proven to be an essential hub for collaboration, as the only AHB team in regular communication with all the other AHB team leaders, researchers, and students. We have an exciting and busy year ahead of us. Our Wednesday webinars start up again in January, and the February webinar will spotlight Extension’s policy maker survey work. Extension is planning some exciting field tours: “I’m really looking forward to the harvests in Hayden and Jefferson this winter. It’s going to be very impressive to see trees 30 feet or more mowed down and chipped. This will be a great opportunity for the public to visit the sites and see how poplar would be grown and harvested for biofuels,” says Nora Haider, WSU Extension Coordinator. AHB Extension is also hosting a spring meeting to bring together professionals and policy makers from the areas of water resource management, climate change mitigation, and bioenergy (contact noelle.hart@wsu.edu for more information). As AHB research is published, Extension will be creating new outreach products. 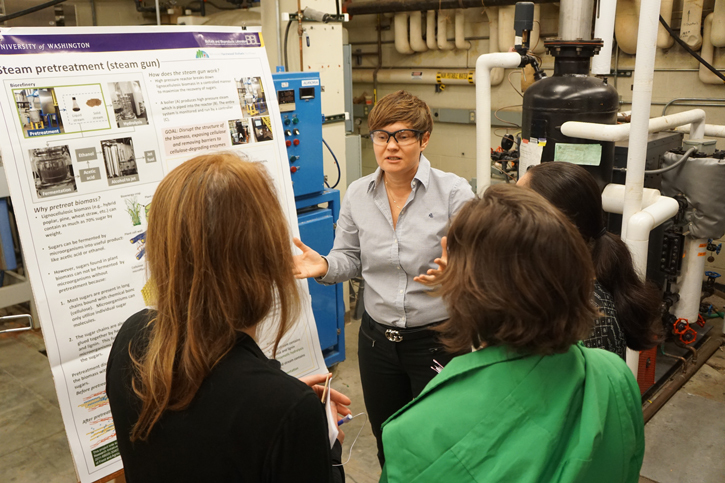 WSU Extension visited UW researchers in November to hear from members of the AHB Conversion Team. Pictured here, Renata Bura tells Patricia Townsend, Cat Gowan, and Noelle Hart (left to right) about what the poplar chips turn into after steam explosion. Extension is more than just university outreach—conversations with landowners and the public go both ways. For AHB Extension this includes a two-way information exchange where the team shares knowledge generated by researchers to the public and conveys the values, experiences, and perceptions of farmers and communities back to the researchers. The Extension system was established by Congress more than 100 years ago with the idea that the resources of state universities should extend beyond campus to provide direct benefits to the public who funds them. Extension’s roots started with a focus on improving farming and rural life, but today Extension meets many needs and interests, reaching both rural and urban settings (e.g. WSU’s Metropolitan Center) and including diverse topics such as nutrition, parenting, and community development. If you are interested in learning what services Extension offers in your area or are looking for events to attend, trainings to partake in, or have a location-based question, contact your local county or regional extension office (here are locator links: WA, OR, ID, CA). 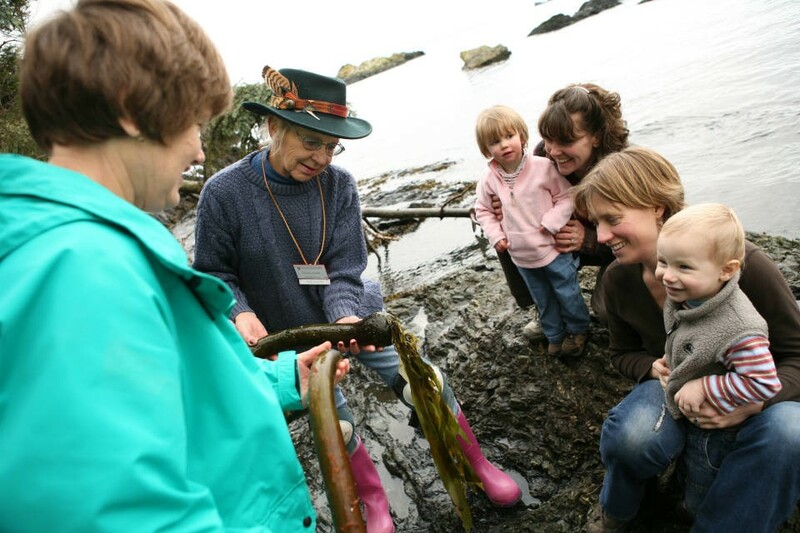 If there is a topic you are interested in or if you want to peruse programs, check out state-wide program links (WA, OR, ID, CA) or explore county-specific programming. Whether you want to start composting, make your family healthier, manage your property, or volunteer within your community, Extension has something to offer you.